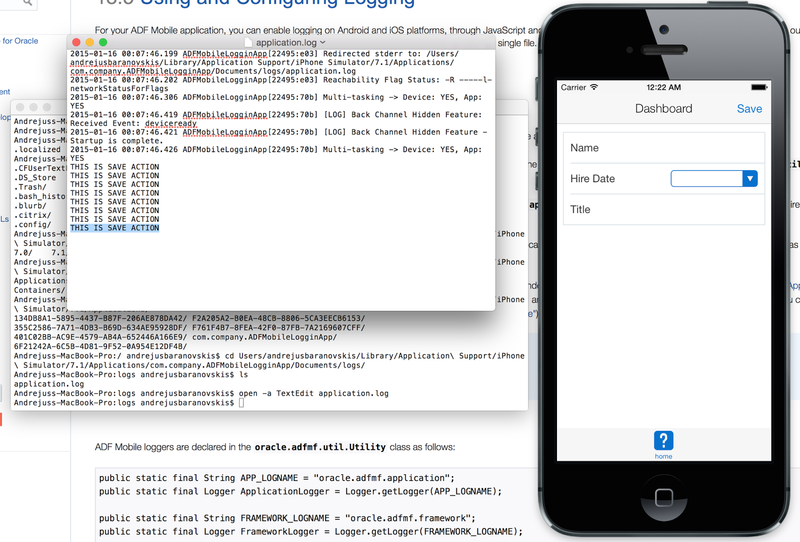 It could be very handy to know how and where to read MAF logging output from iOS simulator. 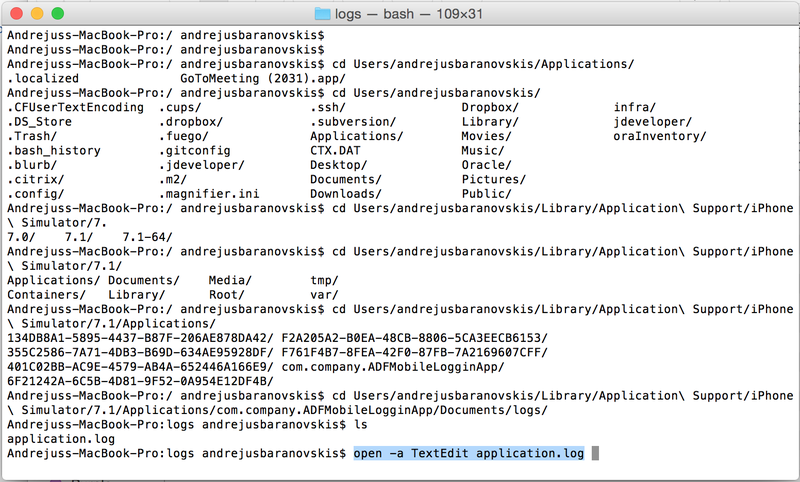 This is not that obvious to find logging output on Mac OS system. 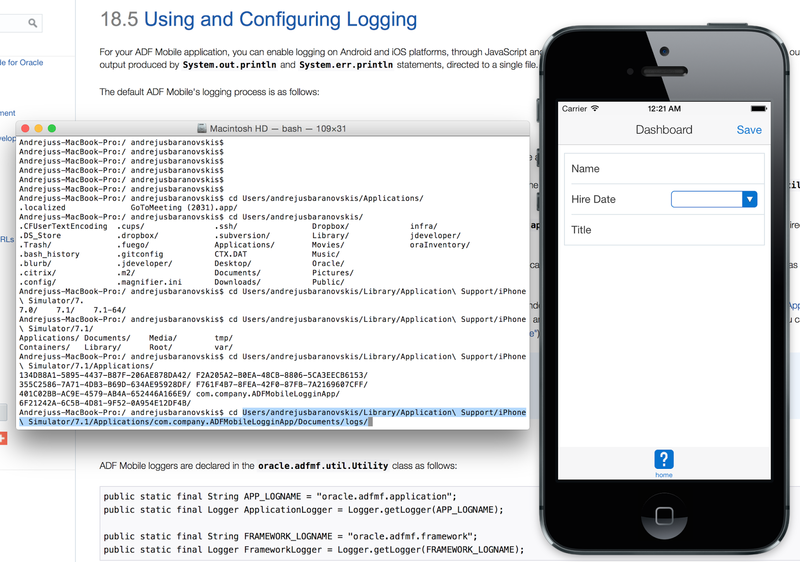 All log is written into application.log file, this file is located inside temporary application directory. I will explain how to locate this directory and how to open application.log file. 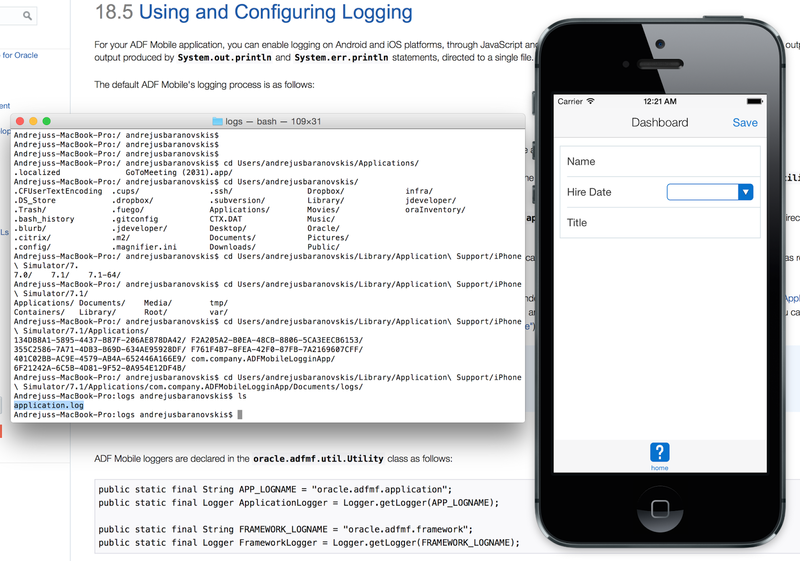 You can read more about MAF testing and logging here - 18.5 Using and Configuring Logging. Enjoy MAF coding in Mac OS ! Hi Andrejus. Great post. What you describe is necessary because the Log is redirected to a file.You can use Xcode to Prevent Redirecting the Log. Xcode. First you must open your Xcode project called Oracle_ADFmc_Container_Template. redirected to a log file but displayed in the console real time. That should do the trick and the log statements are visible in the console.